So correct Oom. I still believe we lack creativity, skills, rugby nous and mental strength and the result may have set us back further than some would like to think. The demeanor at the final whistle was not only one of utter disappointment at having blown the handsome lead but that the old enemy had once again triumphed despite us having a real opportunity to put the knife in. The players would have said ‘oh no not again’ and recalled the many times this had happened in both SR and test matches these past four years. Remember the Wellington test was won through two missed conversions while we blew it from an almost impregnable position with everything to lose in front of our home crowd. Let’s hope it’s not terminal. Another point is how come we had players with cramp, ‘too tired to play on’ and losing focus due to fatigue ? The AB’s had a sewn up RC under the belt, travel fatigue, altitude and a hostile crowd yet were rampant in the final 15 minutes ? Is conditioning a problem once again ? I watched RG in those final minutes. 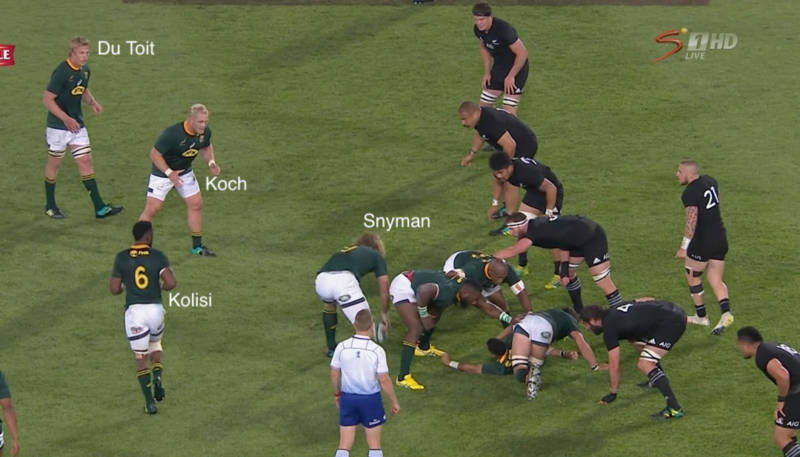 When the AB’s were on our line he was standing about a metre behind the ruck instead of creating a defensive pillar. on the line. When Savea eventually scored it was only Mostert who tried to stop him. Mostert had been on for 80 minutes. RG about 25 minutes. Another example D’Allende and the Ioane try. Ioane just managed to plant the ball in the very corner. Yet if you watch it again DDA gives up the chase too early. He could well have corner flagged him with his pace, size and hopefully forcing a mistake. DDA has defensive issues and this was a prime example of his natural mindset. As Oom rightfully said, on small things do winning or losing a test depend, indeed. Cheers. Stanley I think you misread my point. WW is the man for me, has great leadership qualities, courageous, skillful and most importantly has that rare quality so hard to find among SA players, rugby nous. Cheers. Excellent analysis Oom. Guess it comes back to inexperience from the players, and especially the replacements. 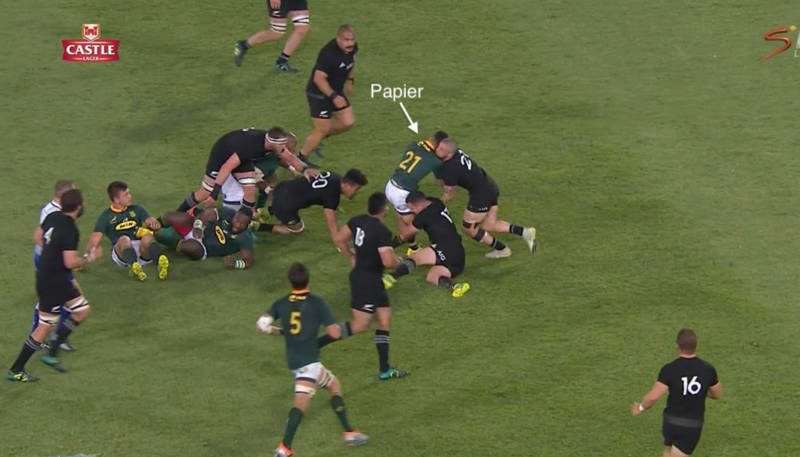 Not blaming anybody with saying that (okay maybe Rassie, but he didn’t really have another choice) because the only way to get experience is to be on the park. Yes it was a loss at the end of the day, but the players picked up invaluable experience that will serve South Africa well in the future. Once again proving the article from Gavin Rich trying to tone down this match between the two arch rival was hogwash. Thanks Dan a good read! Sorry but there were too many glaring sub errors that we have not touched on here and the change in momentum coincided directly with them coming on. One certainly does not want to berate players, but it would also be wrong to tip toe around problems. This was a game that we had in the bag! The Van Zyl issue you have mentioned highlights the inexperience of the player. That is not his fault, he only has a partial Super Rugby season to his name, but the question should be asked, why was he selected then? Would Ross Cronje have made that mistake – I don’t think so! 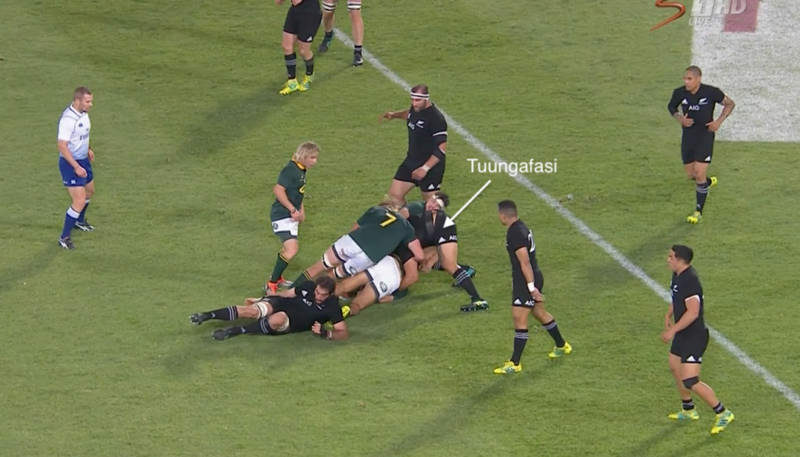 There was also the issue of the ball that nonchalantly trickled into touch a few metres from the trie line that led to 7 points against – where was Willemse? I also question why we played Koch in this test and not against Australia? I get that they wanted to try him out, but surely not against the AB’S. You have highlighted the mistakes he made, but there was also the dropped scrum to add to his woes! In the last two clips in the final few minutes of the game in the thick of forward battle, won’t some one point out where Notshe is please? The reality is that our Bench, by and large, were not up to the task and we need to address that and not tip toe around it! You make a few valid points. Yes, Papier should’ve played it to a pod of forwards, but I think he was eager to impress as he hasn’t had a lot of game time. We need a better scrummie than him. We have a massive problem at scrumhalf. 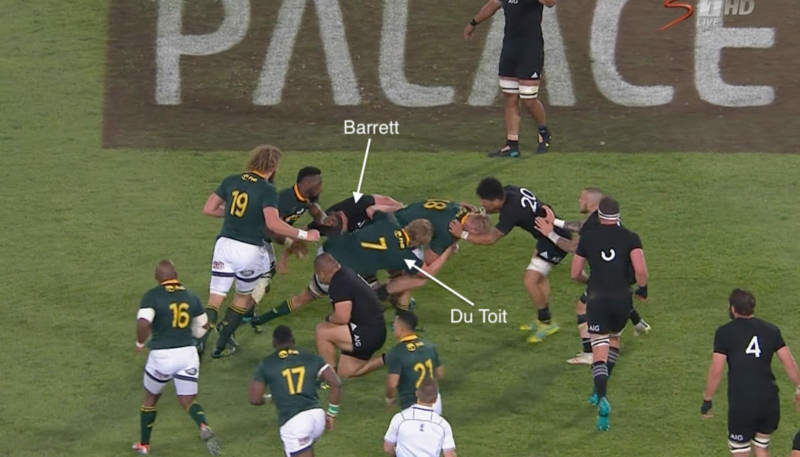 Yeah, Willemse’s positioning was crap and Domjan die Ellende should’ve covered Ioane from the beginning and not get sucked in. I also would’ve played Koch against the Aussies than against NZ. In my opinion he didn’t bring much to the table. I’ve said from the beginning that Dan du Preez should’ve been chosen instead of Notshe. Nothse is a lightweight. It’s not as if he’s making a name for himself even during Super Rugby. Dan du Preez is on form, is powerful and has a great offloading game. Let’s see what happens on the EOYT. The Boks have now set the standard that they can play and now we need consistency. Excellent analysis, Oom. Here’s to hoping that the Springboks keep improving and building on their performance to become a complete product. One thing these two tests against the All Blacks did was to show the world that they’re not immortal. You can bet on Eddie Jones and Joe Schmidt having paid full attention to these two games. The EYOT is going to be very interesting. So right .. we have seen the boxkick lead to scoring by the oposition to many times now.Why is it the prefered option on our own 25 .In the 61st minute of the game that boxkick … that try … started the AB comeback. Is it Faf or Rassie that refuses to change this plan.????? 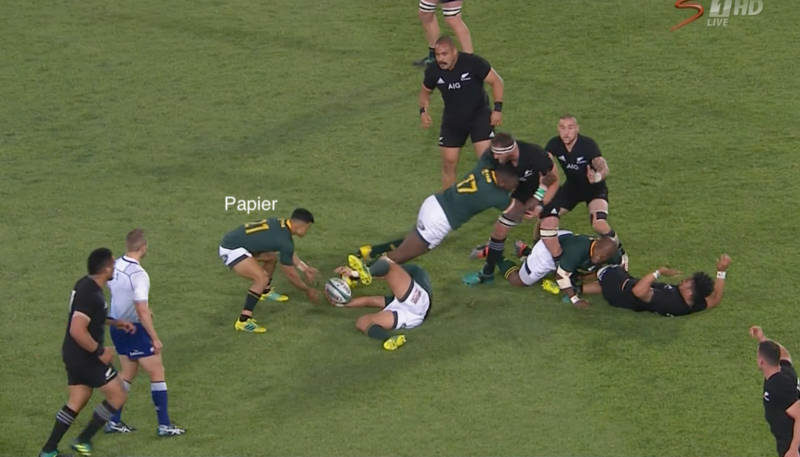 At least Faf shows all in advance when he is planning the kick… to allow us to yell at the TV. nòooooo!!!!! I know I am going to get crucified for saying this but Kolisi as the captain should take charge. I have watched the last three games that he has played in with a lot of detail. He is the most ineffective loose forward that we have. He never does the basics right. He may have a few moments in the game but his general play is absolutely shocking. He seem to loiter behind the breakdown all the time and never seem to know where to position himself. 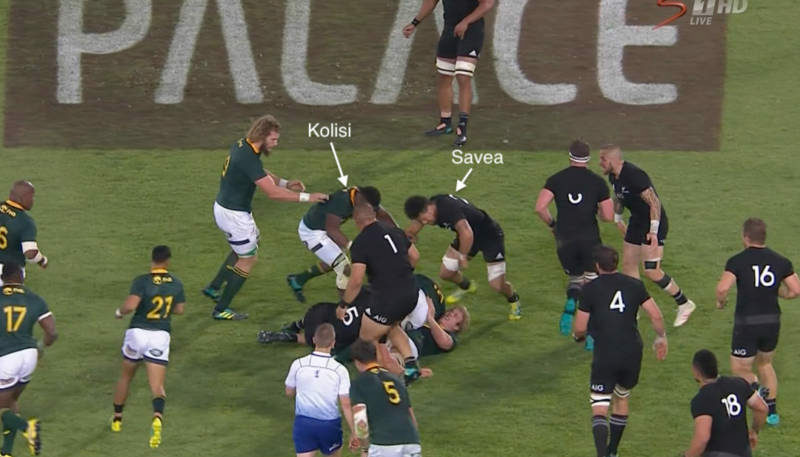 The fact that he is our fetcher, he should have been able to push Savea off the ball or at least seal it, but he is so far behind the contact area and way to slow and weak to push the player of the ball. I don’t think he adds any value in his general play or the basics. Oom is correct in his analysis and great to also hear what rugby geniouses are about. 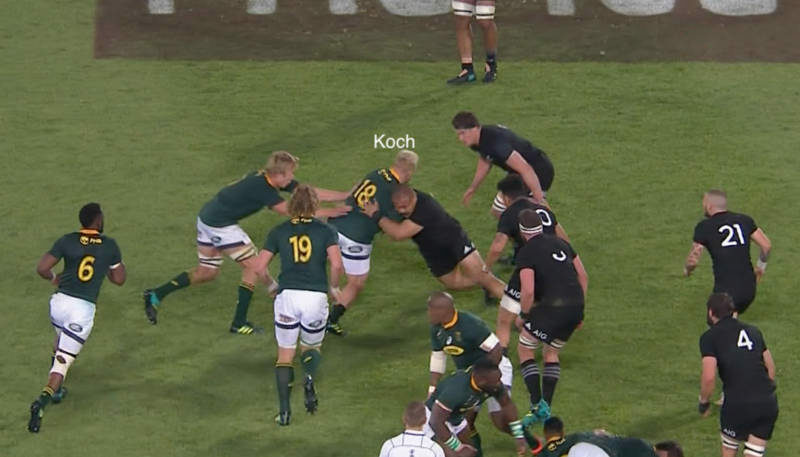 I will get some stick for the next comment i think, but “what” would the game have looked like with “Jaco Kriel” as open side flanker……..(speed, brains and steals)???? I honestly thought when our box kick went up and SA secured the ball i was like “this is it, we’ve lost, they will just keep the ball in the forwards and thats it, we lose” But as you so excellently described above, it was the failure to execute those small things to close out the game that championship teams are able to do. Likewise I think the decision to keep the ball in the forwards and grind out tries by NZ was a direct learning from Wellington, as they could have won the game the same way but their instinct was to spin it wide. Rather they learn this now than in a World Cup knockout game or final. I hope we can win at least 3 out of the 4 EOYT games. The biggest challenge for this team is winning away from home. They have only done it once out of 3 occasions this year. Let’s be honest here, any team that pushes New Zealand like the Boks did should be aiming to win all 4 EOYT matches. Anything less will be a failure in my opinion. We can’t return to the Coetzee era of accepting mediocrity. Do New Zealand ever say 3 out of 4 is good enough? Nope. 4 out of 4 is the goal, and I will be judging Rassie on and his men on that. England, France, Scotland and Wales. Those 4 teams are not great, and we need to get to 3rd on the rankings behind the brilliant Irish and next level Kiwis. 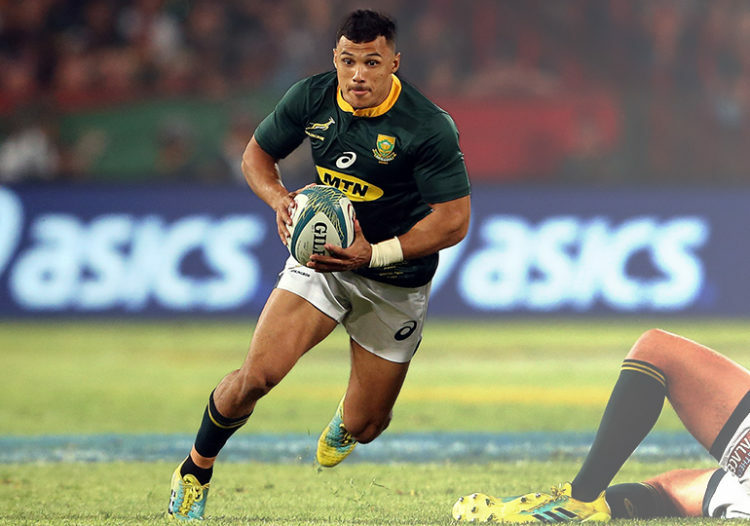 Everyone else should be scared to face the Boks. Great article and analysis. I would like to add just two things: in the 67 minute we got a scrum from Barrett’s fwd pass, this placed Pollard directly in front of the poles, surely a drop kick opportunity? Secondly when they kicked for the touch line with 3 minutes to go and got that lucky bounce, why didn’t the first arriving player take a quick throw in and wind down the clock? Kick was from a penalty.